Okay, I know this too shall pass, but hey so does a kidney stone...but they still hurt like hell, and don't try to tell me any different. Crud, this stupid demonic thought seems to be sticking around for me to be weak and go to the store or something....ain't happening. There ya go Pops. You know how it’s done. Carry on. Keep up the great work Pops! You taught me how to this you know. Pops We are all really glad to have you back. Your words of wisdom have not lost any of their flare...Madam Secretary was good last night. Congratulations on four days. Not to beat a dead horse but you HAVE thought about what happened and what made you lose your quit? Because I have to say (in my opinion ONLY) I think it's very important to know this and to determine what you will do if faced with the same situation, or thought or challenge. As I have written here many times, I feel my first quit was doomed from the beginning because I made it a whole drama martyr kind of thing......really told my self and FELT like I had given up something fun....something I really liked to do....something which made me feel young and daring because that's what I was when I started. It was only after I got rid of those crazy thoughts and saw what smoking really was........then I was able to quit and quit forever. So very great to have you back. And while you were gone, I learned to post pictures!!!! Congrats on the pic adventures! lol as for my reason...yep...got it down on paper already. I actually did that a couple of months ago. knowing why, and having the commitment to do something about it?...well, that's a different story. Another reason that I so hate having drama in my life....yuck...And another thing I learned recently....Did you know that "stupid people" really ARE "stupid people??!!" I have absolutely no control over other people places and things....they all have their own destiny, as I have my own destiny as well. All are separate, and not to become intertwined with the other. Deep I know, but that is what happens when one gets busy digging into ones' innerself. Funny you should mention stupid people. I don't think I understood that some people just do not have the mental capacity that others have until I was in my 40's - seriously. I could never understand why some people just didn't GET it! I don't do drama, either - and have found that we DO have a choice whether to do it or not. I am famous for, "oh, you'll have to excuse me - there is another call I have to take," or excuse me, but someone is at my front door," or, "OMG, I have to get home, I think I left the iron(stove/curling iron) on." Keep those excuses handy and you can get out of most of them! I'll be 69 this month...did a timeline of my life recently because I couldn't remember "stuff"...well, all I can say is, I didn't "do drama", DRAMA DID ME for a lot of my formative years, where I had NO control...and I'm FINALLY learning that I have had my share of drama (probably did about 20 years ago), so I'm with you...life is dramatic and it has a bunch more drama when you get older that you may not be able to avoid, so avoid the NONESSENTIAL drama with the evasive tactics you mentioned...AND, my mother was right when she told me "No, Bonnie, everyone was NOT created equal." In reference to STUPID people, I read that the IQ of Americans is going down every year...so there's more STUPID people to deal with every year..go figure And I count myself among them for all the years I smoked....STUPID!!!!!!!!!!!!!!!!!!!!!! Don't know you from the past here, who cares? I already like you and your sense of humor and I get the "slip" thing...you're the only one I've ever heard to say ramp up the coffee....after a few days of tea in the morning to ease off "the trigger", the caffeine in coffee was the only thing that helped me with the BRAIN FOG and I drank way more than I did when I smoked cigs, until it made me jittery to drink too much, but I really needed the extra caffeine for a while to help my poor brain...thanks for your honesty and perspective...like them both! Pops Welcome back! Thank you for sharing your reality and keeping it real. No matter how much we know or how much time passes there's always the possibility of falling down a rabbit hole. Glad you didn't stay down too long and you've come up for air! 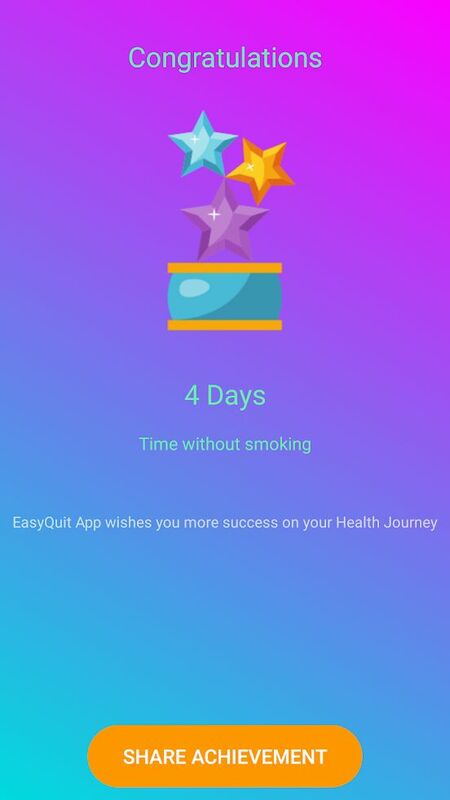 Congrats on almost 4 days. Love your sense of humor. I loved drama apparently for a long time. Now I just go for honesty. Being two years free..I`m as curious as Sootie as to what triggered your return to smoking. I know you went through some horrific health crisis. I had a stroke the Saturday before Easter...thankful to be smoke free or they would have sent me home with blood thinners for 10 days..and to refrain from smoking...shocking thought! Not even two weeks later, my mother passed away, which crushed my world. There were just a few times that stepping away to take a break did cross my mind.. but the words of the elders and the pains of withdrawal of peers and myself prevented the demise of a repeat to my former self. I guess I'm so afraid it will be something silly and frivolous that could be the bigger than life trigger. Pops, no matter what...I do wish you a successful forever quit! Oh Kathy, I'm so sorry to hear about all of the strife that has landed close to you lately....I am so impressed that you didn't cave...not all of us have that commitment 24/7...unfortunately. My resolve was beaten down until I just got to a point that I simply didn't care what the price was...I was going to experience something that was a break from all of the emotional stress that I was experiencing at the time. I simply was beaten down and too tired to fight anymore. So I smoked. I knew I would be back...the question was...how long before I returned? I stayed out there longer than I had planned and that scared me. I got a few phone calls from Shawn P, and Jennifer & Skygirl reached out a couple of times...and so the connections were still there....it's just that I wasn't. I refused to come back without a firm resolve to stop. That didn't come over me until four days ago. I'm not sure that my message is good for the EX community in general. I flirted with a deadly foe, and returned to fight the good fight. I'm not even sure that I can tell you that I regret what I did. I can tell you that I am no longer experiencing what I was experiencing when I lit up again....I simply laid down the law, and told all concerned, that the insanity that was being brought to my doorstep, was to be forbidden for eternity. I am no longer going to be anyone's project or target for grief and anger....take that crap somewhere else. I have my emotional boundaries, and they will be honored....like it or not. Make no mistake, such a strong statement being made after being a whipping post for so many years....well, it shook the entire landscape. Things were a changing in Pops life, and the onlookers had best step aside and stay out of my way. My happiness will no longer be denied. As for what that has to do with the EX community...know this, I knew with every flick of my bic...I was destined to get back here and be with my people. Your people are glad you are back and no one wins a FIGHT with this addiction. I tried over and over and over again and I always caved. Thank God that I found this site. Glad that you have "laid down the law." Hi Pops! Good to see you! Pops!! So darn happy to see you back here with 4 awesome days of freedom!! I don't know what happened but I missed you being here! !